Typically, U.S. ambassadors serving abroad consider insulting their host government a definite no-no. 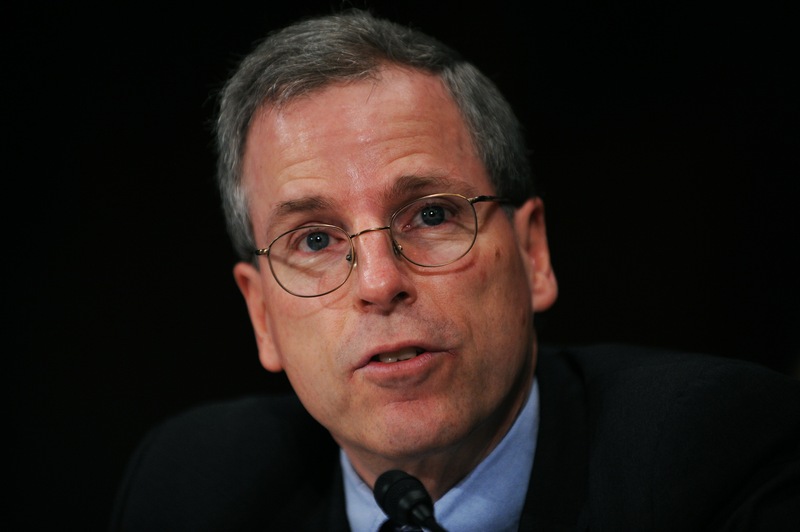 Not the American ambassador to Syria, Robert Ford. Rather than working to strengthen the U.S. relationship with the government of Bashar al-Assad, Ford has been dubbed by some U.S. officials as the "ambassador of change." Since the Syrian government began cracking down on anti-government protesters earlier this year, the U.S. ambassador to Damascus has traded diplomatic niceties for tough talk about the regime. The regime sees him as an activist, working to knock it out of power - especially after Ford sparked a diplomatic firestorm in July when he traveled to the restive city of Hama to express support for demonstrators. He was welcomed with flowers by local residents who had suffered a brutal crackdown by government forces. Al-Assad's government called the trip an attempt to foment dissent. Since then, Ford has continued to serve less as a traditional diplomat and more as a provocateur. On Tuesday he called into question the Syrian government's capability to enact "the deep, genuine and credible reforms" demanded by opposition protesters. In a sharply-worded letter posted on the U.S. Embassy Facebook page this week, Ford voiced his support for what he called the "courage" shown by demonstrators and slammed the killings of unarmed civilians protesting peacefully, placing the blame for the violence squarely on the government. "Given the extent of the government's brutality, neither the Syrian protest movement nor the international community will believe that this Syrian leadership desires or is capable of the deep, genuine and credible reforms that the Syrian people demand," Ford wrote. Officials tell CNN that Ford has not been directed to speak so harshly in public by the State Department, but that U.S. Secretary of State Hillary Clinton has given him the leeway to speak out as he sees fit. "He has been very gutsy and forward leaning," one State Department colleague said. "But it isn't being pushed by (the department). It's his personality. He is a gutsy guy." The Obama administration has faced criticism for not recalling Ford. The chair of the House Foreign Affairs Committee, Rep. Ileana Ros-Lehtinen, R-Florida, has called for the United States to recall its ambassador as a signal that the Obama administration does not support the al-Assad government. But senior officials, including Clinton, have said he has an important role to play on the ground, including showing U.S. support for the opposition. While the State Department insists publicly that Ford continues to meet with members of the Syrian government, privately, senior officials concede his interaction with senior members of the regime in recent weeks has been minimal at best. Considering that Washington has called publicly for al-Assad's ouster, these officials say there aren't too many reasons for regular meetings with the regime, except to protest the violence. Instead, Ford has been increasing his outreach to the Syrian opposition and civil society groups. He is also on the lookout for members of the government who could be persuaded to abandon the regime. "He's open to anyone that is willing to whisper in his ear," one senior U.S. official said. It is really nice to see that you are still writing great articles still. It is almost as if you read my thoughts! To err is part of being a human, but don’t count on people for forgiveness. Thanks for writing this amazing post. I have been working in this industry for about 6 months and I often visit to your blog for the best insider information. Thanks for sharing this info with me. Mr. Ford is a hero. I'm glad the administration is letting him do what needs to be done, and I hope they will give more of our diplomats that freedom. Remember, Islam is the religion of peace, and Syria is just one of many graphic examples of how Muslims treat one another. Dear Khalil ,it is ironic what Assad propaganda is doing to sway christian arabs opinoin, Assad is trying to use AL Qaida feer card. Look millions of arab christian live in the middle east they are part of the fabric and history, they have contributed the most for the progress in the middle east. Look at the history is there any muslim or jew left in spain or in certain part of Europe. Christian Arab has to contribute effectively and be part of Democracy movement in the middle east and not to collaborates with dictators and thugs. Iraq lesson should be a clear exapmle fpr them. I just want to thank Mr. Ford for supporting the free Syrians. FYI, many Syrians have changed their opinions of the US because of this brave ambassador. "Officials tell CNN that Ford has not been directed to speak so harshly in public by the State Department, but that U.S. Secretary of State Hillary Clinton has given him the leeway to speak out as he sees fit." It won't do any good. He is wasting his time. In any case, who cares what the Syrians do? This is an internal affair of theirs and we have no business butting in. He might be wasting his time and he might make the U.S. look bad. I agree that there is really no need for him to become active in this issue yet. I disagree that this is an internal affair and someone must eventually stop this government from killing innocent protesters. Finally why you don't go back to "Syria Alassad" and fight with him there. You live in USA in complete freedom, why you can't praise this freedom and wish to have it in Syria. Why do you believe that there is no one better than him to be in power??? Syria is for Syrian people and not named or owned by any family or any person. And stop talking about 22 millions elected him. No one is believing this...expect those the blind followers of Alassad family. Ahmed, this Khalil character is posting here under different names, Truth, Patrick, etc...He is an agent for the Assad regime paid to scan public opinion sites and try to insert doubt in the American public. Desperate, but fruitless. I have observed the tactics. Never mind wasting your time asking questions. This person knows well comes bedtime, that job of supporting a brutal regime has been done. All these are selective in nature, it should be same for Egypt,Bahrain,Syria,Yemen, but here the biggest part of the drama is to save Israel at all cost, which is hidden agenda, but mass in general knew very well all over the world, but here the history of media is different and it is controlled and thus guidance, instructions all comes and they have to speak and follows again and again till every body accept it as a true , and now the strange thing is that no comment comes from Hilary Clinton, she is knew well that others or doing her job, she has not comments for months about Bahrain,Yemen, and Saudi, may be the blood of Yemen citizens is not much important than the blood of Syrian, which it also a crime. As a professional writer/editor/publisher for more than 45 years, the headline: "America's undiplomatic diplomat in Syria." is one of the most pathetic and unskilled efforts I've ever read. Did the creator work to be so redundant in just five words? Hire some skilled writers rather than neophytes. Aah, Larry, you are right. But in the scheme of things, take a couple and sleep tight. There are more upsetting things in life than to get upset over improper English. Why would this article upset you to the point of attacking the atuhor? There must be an element of truth in it then, no? So for a change, an American government official is supporting reformation. We should all stand up and applaud the man. The question is how Mr. Assad managed to make millions of Syrian become agent of Zionist and US, Assad regime has been claiming for the past 40 years that Syria is the Resistance front against Israel, his army do not have the guts to shot one bullet to Israeli army, but they can shot and kill their own unarmed citizens, very disgusting indeed. Well said Ali. Assad's agents are on the media outlets (including this one) spreading lies. These people are either ignorant (unlikely) or beneficiaries. The fact the 40 years of dictatorship, oppression and corruption is not an issue for them is enough to discount them. Period! Funny how your Garbage rhetoric only applies to country that we don,t like. How long the Saudi PIGS has been in power? How long has that Bahrain King oops PIG has been in power? But I am sure you have no problem with the Saudis sending their Tanks to Bahrain to crush their peaceful rebellion,unlike Armed rebels in Libya. @Patrck: My rhetoric is garbage because I stated a fact about the regime being a dictatorship for 40 years? And why are you judging that I wouldn't have a problem with the Saudis and other Inconsistencies with foreign policies? You don't know what I stand for. At this site, we are discussing Syria not the other countries. By the way, with your logic, all acts of kindness/aid to animals should stop until human suffering all over the world is addressed. Please reply with class – if you have any! now and because you didn't like what I said you discount me, what your poeple (you Support) will do when they take the power. See that is what I am talking about. 2. there is corruption all over the world not only in one country, if you want reform it doesn't mean to destroy the whole country and kill the people who don't agree with you. You should know that the islamic terrorests are destroying the country and attacking the Government employees and buildings and the civilians who don't agree with them. Open your eyes. 1. Ali, don't say millions, but say couple thousands. and I am sure no more than 100000 terrorests. What about the 22 millions who elected president Assad and want him to stay in power. You can lie to americans because they don't know, but you can't lie to me because I know what is going on. 2. What england did to thier own citizens when they were asking for rights and better life? So stop lying OK. you must know that majority of Syrians want Dr .Assad to lead the country not the Islamic terrorests. Haha, 22 millions who "elected" Assad family members for the last 30-40 years. LOL!!! In 1982 the whole city of Hama’s residents were terrorists, do you remember? Why Syria has so many terrorists? In 1982, I was in syria and I remember how the islamic brother hood party members bombed buses and schools and hospitals killing thousands of innocent people and school students. I remember 1982 very good and I can't forget specially when they bombed the buses which had soldeirs in them and thier body pieces speard all over. Ali, don't you feel shame when you talk about 1982 crimes by the islamic terrorest who is doing samething now and continue thier crimes but unfortunitly with the world support this time. Hey Khalil, guess what? I was in Syria at the same year too and you couldn't be more of a liar. I do remember one explosion but I would believe that it was a government fabrication to entice the population against the "Brotherhood" before I believe otherwise. The Syrian government run by thugs (that you defend-and probably paid to do) have lost credibility long before you started posting anything on a US news site like this. I hope you rot in hell if there is one. May god never bless you, S O B! Yes, we know American interest is above all. I do not think he is doing it for the sake of Syrians or for the sake of Democracy? Reason check what is happening in Gaza? What is happeining in Yemen? Waht is happening in Bahrain? What is happening in Saudi Arabia? Is the US doesnot have embassies there? Of course there are... but the "NATIONAL INTEREST" is what matters. With all due respect, please leave the name "truth" alone. Wait, it must be truth, because your name is so. Really? Hey, US should not meddle in internal affairs of Syria. This damn guy does not know the diplomacy 100. He is making a macho in Syria. It is known why he is doing so. On the other hand when people are sloutered in GAZA where was the US? Did we hear any? No big no , NADA... reason known. What is happening in Bahrain? Is the US saying anything? No, infact US gave green light to the Saudi Monarch to envade and silence the innocent uprise of Bahrainies, who called nothing but Democracy. Guess what? It is the big national INTEREST of the US than any humanitarian or real democracy that is counted. Truth, patrick, shabbiha,whatever, your name is. How much are you getting paid per hour – by the Assads? 1. I am Syrian Ammerican and I know what is going on there more than the lying media. The president and the Syrian Army are in real war against the terrorests. when you support the opposition in Syria that means (if you know or you don't know) you are supporting the islamic brother hood party which is like Al Qaeda. So what do you think? Do you want to support terrorests and forget out victims in Sep 11. 2. more than 1000 syrian policemen and army personel got killed during the last 5 month by those criminals. if this happened in the US or anywhere else what would the GOV do? look at the terrorests and say great job here take the power? 3. what did US do in Iraq and Afganstan when our soldiers got attacked by the terrorests? 4. I agree 100% that the ambassador there to represent the United States and be neutral- NOT to aggravate the situation. Do you accept other ambassadors to do the same in US? 5. I think we have enough problems, our government here in the US need to look at and solve, and leave the rest of the world to solve thier problems. God bless America and Syria Al Assad. If our (US) ambassador is there and can see what is going on says " peaceful protesters are being shot by Al-Assad's troops" why should we not believe him? He is an American American with nothing to gain from false reporting. So, why would he lie? What does he have to gain? If he says he sees "terrorists" around every corner I'd have to trust he is not lying. Go back to Syria and give us a no sh1t report, until then I'm going with the ambassador! Khalil, if you believe that the protesters are the problem, then I am a unicorn. Your propaganda will never fly in the age of modern technology and internet age. So, please don't waste your time trying to convince us of the legitimacy of a corrupt, brutal regime that has been terrorizing its citizens since Assad and his Baathist party took power 40 years ago. Yeah, there are those of us who know what is going on with this family of thieves (including the Makhloofs). You can spread your lies to ignorant villagers; not here, Mister. 1. If you think in this way, I really feel sorry for you and for everyone think like you. If you think you can get the terrorests to love you one day, you are really mistaken. I feel sorry for America if the Americans think like you do. 2. America is a melting pot Sir. there is no American American only the native Americans. God bless America. Khalil, again, please read my above post. Hey khalid, its obvious you are either Christian, from a minority group in Syria, or just a person who hates Muslims. As a Syrian American, I can tell you that the Muslim brotherhood isn't going to take over Syria, and If they did, why can't we do like Bill Clinton said, lets hear them out. Syria after all is 75% Muslims, so it makes sense a Muslim government take over, in contrary, why should Assad, an Alawite, who isn't Muslim rule a Muslim country. It's like having a Muslim president run the USA. It just doesn't work. Not trying to put anyone down here, but your post sounds ridiculus when you say God Bless al assad....it shows real ignorance and hatred on your part. The Muslim Brotherhood is not "like" al-Qaeda. If you were paying any attention to the Egyptian revolution, for example, you would be aware that a distinct split existed between the two groups on the eve of the mass protests. The MB called for peaceful protests. Al-Qaeda did not. Comparing them, blindly it would seem, is extremely foolish because they have completely different professed mechanisms of change. What you just did, from an academic historical view, is like comparing conservative Christians with the likes of the KKK or skinheads. You're an agent of Assad's. You wouldn't know the truth if it fell on your stupid head. Unbelievable. And I don't believe you are Syrian-American. Just another lie. It surprises me that Syria hasn't kicked him out between what he's said and what Obama was said about the regime. I wonder why that is? Finally, somebody willing to stand up to dictators like Assad. If Syria wants him recalled- let them. Until then, he should keep it up. Nice that we have a govt that is doing something right instead of arming dictators. Maybe things would have gone better for the US if ambassadors from around the world had told Bush what a mess he was making of the middle east. Of course, then you might have called that meddling. So what if they do recall him. Until then, this murderer Assad needs to be called out for his actions. It would appear that Hillary is quite OK with what he is doing. Too bad that Ambassador Ford works for such an inept boss (Clinton) and an equally inept President. Hilary Clinton is one of the most intelligent people in the government. Did he visit the people of Gaza and south Lebanon when they were bombed indiscriminately by the Israelis? Did the American ambassador in Bahrain visited or showed support for the demonstrators who were murdered by his puppets in Bahrain and Saudi Arabia? Everything he did with the green light from the white house, otherwise, he will be summoned and disciplined. He's in Syria dude, not Gaza or Lebanon... Get with it or don't make foolish posts! This guy is a man .. not a piss-ant like those who talk about sanctions .. he should be in charge in Washington ..
Yep, following what went on in Egypt, Lybia and Yemen. FIRE the man, send him HOME, get him out of there. The US has NO business starting unrest in all these other nations. He is a Saul Alinsky follower the same as Obama. Yeah, god forbid the leader of the free world- America- should actually stand up for what it's supposed to believe in, instead of turning a blind eye and just selling Assad more weapons. Murderers like Assad need to be GONE- not the people standing up to him. That is plain stupid. If this fruit wants to look "tough" he should join the USMC, not the diplomatic corps. Diplomacy, first and foremost should be promoting US interests. Too many diplomats forget which country they actually work for. Ford shouldn't be kissing the behind of Al – Assad or his regime. That is not diplomocy at all. He should work to further our interests however he can, short of war and that doesn't mean playing nice just for the sake of playing nice. If pressure is warranted, then so be it. Ford is one of the few in the land of the foggy bottom that acutally gets it. As a Syria I can not thank you enough Mr Ford and Mrs Clinton. Other countries like Russa and China choose thier trade deals over the blood of the Syrian people. Sure IDIOT,just like the USA did in Bahrain with the Saudi tanks crushing their Rebellion. If you are Syrian then I am from Mars. Patrick, you are comparing a morning headache to cancer. The situation in Bahrain is way different than it is in Syria. Tanks in Bahrain did not fire missiles against protestors as the syrian regime did. By the way, Bahrain's governement is not responsible for killing american soldiers as the syrian regime is, by sending terror across the borders to iraq. Therefore, thank you USA for your support. I hope this will have you less confused about the facts. @treasure123: Don't waste your time. This "patrick" guy is serving no purpose and is absolutely clueless about reasonable and proper discourse. Where on earth are the NATO strikes on Syria?!!!!! !Honestly, the NATO ferocs are shaming themselves on focusing on Libya when Syria IS the country that should be targeted! !Where are the countries of the world concerning the atrocities committed in Syria?!! !All this INACTION with Syria proves one thing: the actions of various countries (at the ONU, with NATO, etc.) against other countries are highly biased and they certainly not the result of a fair assessment! It's nice to see an American diplomat standing up for the right thing! The Syrian people are suffering and need international help. Isn't that what makes America so great, us standing up for the right thing. I say we acknowledge his courage and applaud him. And what are we going to help them with? Some kind words? Or maybe we can increase the debt even more by printing more money! Or, wait, let's borrow more money from China and give it to them! Yea, that works! The reality of the situation in Syria is that should Bashar al-Assad and the Baath party fall from power it is highly unlikely a nice little American style democarcy will flourish. Once the dust settles there is a very BIG risk that they will be replaced by an Islamist regime or a regime which caters to the Islamist elements in Syrian society. Syrian society, the US and Israel are far better off with the "devil you know than the one you don't". This ambassador and Barak Obama don't realize the realities on the ground in Syria. We are seeing this start to develop in Egypt with the candidates who might replace Mubarak. It has already happened in Iraq and in Tunisia. Washington should have sent cruise missile to Assad's palace in Damascus .. months ago .. it is the only message he will hear .. one missile for each protester who is shot .. According to your logic, people should get away with murder because it does not fit your interests. The world will function very smoothly with people like you in charge. Luckily, there are still those of us, humans, who have character, compassion, and integrity. Really and why wasn't,t he and others stand up to Bahrain and the Saudi PIGS who sent their Tanks in foreign country to crush their rebellion. WONDER WHY The Syrian just doesn,t make him persona non Grata and give him 1 day to leave their country. freaking agitator.I dare him to go try this Crap is IRAN. Are you saying we should turn a blind eye? Would you rather live in Syria? Read DJ3000's comment. WOW... you are an idiot... I didn't know the US had any diplomats in Iran?? And o no.. what would iran do if it was happening… kick the diplomat out… o no… soooooo scared of Iran…. Sure Moron,we don,t have diplomats we do have SPIES there stirring trouble along with the Stinking JEWS,2 nuclear Scientist murdered,2 kidnapped and brought to USA. 3 Hikers, oops KIDS,lol got caught trying to sneak into IRAN,they should have beheaded them right there and then. Wow Patrick; you are really clueless AND USELESS! LOL racists are funny, another American intent on blaming the worlds problems on "the jews!" Are you actually Mel Gibson incognito? Any other wonderful rants you want to spit out laced with hate and void of knowledge? I'm sure the other redneck's in the group love reading your comments! Patrick, u Iranian by chance?Because Iranian gov like Syria and they also dont like their shia(and shia Iranian in Barain)being attacked...I tink te world knows IRAN GOV as teir dirty ands everywere wile proclaiming to be "peaceful", and who also tell other countries not to hurt their people as a "front", because they in fact kill their own people and have advised Syria on how to manage peaceful protestors, (because wasnt Iran the finest example? And just look, Assad is behaving JUST LIKE Iran GOV. Iraq and Afghanistan as well as Egypt told Iran to stay out of the business of their country. They love seeing havoc in ME countries, because they want to be KING of them all. Israel is NOT the problem, IRAN and its cronies are...altough I shouldnt refer to them as cronies because that gives them all equal status, I would rather call them Irans children, because Iran gov controls many and hires them to do their dirty work so they can profess their"innocence" to their people. I pray for peace between the Arabs and Israeli...Iranian gov has always stirred up problems there..people there need to wake up and see the facts. Wow – who or what is this patrick a. anyway? A complete idiot, that's what! Do us a favor and keep your asinine comments to yourself. Stupid unknowing jerk. You haven't a single clue to what is going on in Syria and/or the history behind it. The present protesters have been murdered and tortured since MARCH and nothing has been done to stop it by the world. AND daddy assad did the same thing in Hama 20 yrs. ago. Like father, like son-that's for sure. Murderers, with their state-run news and so-called "security forces". Mercenaries is a better word. As for you and your rotten posts, I wish I could delete them. Did Obama actually appoint this guy? Administration people with guts are SOOO hard to find. The govt of Syria can change his tune quickly by not firing on unarmed civilians. What I meant to say is: I surely do agree with Phil! (not with the idiot's post beneath his). Not only are his actions amd utterances lame and not ambassadorial, that guy needs to be recalled. He's there to represent the United States and be neutral- NOT to aggravate the situation. Granted that what is going on in Syria is dire, let the syrians and Assad deal with it! Kate get a clue on how it works. On second thought woman, go make me a sanwich and leave the Men stuff to Men. No, there are times when Silence is seen as support. We are responsible for many of the dictators who are in power. We have valued stability over democracy. The real problem with this is that while democracy may SEEM unstable, it is in fact the only stability a nation can have long term. Neutrality in the face of tyranny is support. We have taken this path FAR too long. In addition, the last 10 years should have proven to us that the enemy of our enemy is not necessarily our friend. He could be our enemy too. Welcome back to the 1930's when America is too bat-sh*t scared to get involved with ANY OTHER COUNTRIES problems until we our self's get bombed to crap! What would have happened in Germany if we never got involved? More than likely everyone from Spain to Poland would have remained under to USSR probably until modern times, possibly even changing the entire out come of the cold war. Don't believe me? Look it up, I'll wait. Good for him! A bright spot in an otherwise dreary administration.